About Me: I have a joyful passion for creating and particularly for creating digital products. I welcome and encourage all custom requests for any of your special occasions - event needs. Feel free to e-mail me with any questions or requests you might have. My Interests: Family - Friends - Politics - Photography - Art - Music - Life - Nature - Animals of every kind. » For your purchasing satisfaction ... Please read the following ... When ordering from any of the individual card stores here on GCU ... Please be advised that the GCU site management team keeps standard PST business hours. So if you customize a card and make an error - even an order quantity error etc. during the sites 'Closed Hours' ... the cards may print and ship out before it can be corrected by the sites staff. They are quite fast & efficient in fulfilling card orders here. So ... with that knowledge ... please check - then re-check your changes - placement - spelling - wording - fonts - color choices - sizes etc. Simply check your order carefully and completely and remember to 'Save' your changes prior to clicking the 'done - buy - send the order' button to make sure you are going to receive your cards exactly the way you want them. Your satisfaction is the most important thing here to me. Feel free to e-mail me through the 'Contact the Artist' link - in orange - found in the lower - left portion of this page should you need me for anything at all that I might be able to assist you with. 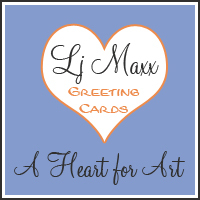 Hello ... You are currently viewing the Lj Maxx Greeting Card Store ... I'm Lj and it is my pleasure to have you here ... Take your time and look around some ... You can use the search bar to the left for the quickest 'search this store' results ... I am also able to offer you matching - customizable postage stamps ... mouse pads ... stationary ... key-chains ... and various other customizable merchandise from different stores I operate on other websites ... Feel free to email me here with any need inquiries you might have for that ... My email link - in orange - is located in the lower - left portion of this page ... Thank you for your visit here and continued patronage and support ... I am unable to contact - tell you that myself after a purchase due to privacy rules but please know ... I sincerely appreciate and value each and every one of you! Thank you so very much for you very kind comment. Your work is wonderful and way more realistic ;-) . I especially like your Love and Romance Tree. So very romantic indeed. Best Wishes, Gerda. Hi Lj. Thank you SO much for your kind words ... it's always nice to hear from other artists. I've been a fan of your designs ever since I started here at GCU. You were the first to ever leave a comment on one of my cards ... I've never forgotten that...or you! You have so many beautiful cards and I find myself often visiting your store. Thanks Lj, for visiting my shop and leaving such a nice note about my cards! You have a lovely shop and I'm a big fan :) Happy 4th! I have always loved your card store, it just goes from strength to strength. The Halloween selection is really something! You've got some great Halloween cards. I wish you many sales! Keep up the good work. Wow!! I love you new designs, especially the navy with diamond hearts! That is just gorgeous! I see so many designs that I must look at closer, lovely work Lj! Have a great rest of the summer! Your cards just keep getting better and better! I love your store. What creativity your cards show! Nice work, lj. You truly have a card for everyone here! I love your variety and your beautiful designs. Keep up the good work! my camera its really not clear its very poor so the pic not that good i took and you know i keep giving GCU a hard time when they review my cards though its really amazing site ive enjoy in here. am i hearing voices in here? it sounds like a beach and windy. lovely store you got i love it! Thank you so much for your kind words on my Flower Girl card. I very much appreciate all your previous comments. Love your cards, LJ :) I love the birds! And thanks so much for your nice comment on my Pet Adoption design! Thank you so much for your lovely comments on my cards. You store looks very professional and really beautiful. I honestly thought Wow when I saw your store just now. You have so many different styles which just make all of your cards so amazing. I love your illustration cards but I kept getting drawn to your photography cards too. Hi Lj! Love the variety and style of your beautiful cards! Thanks so much for your continued support! So appreciated! Lj, thank you for the review. This is the first time I have been in your store and am really impressed. You have so many cards so I could just hop around to see as much as I could. Beautiful designing through out, something for every need. Lj, I always enjoy visiting your store. I love your photos and compositions. Thank you for visiting my card shop and your kind comments on my Flare. :) May you have fortune in all of your endeavors. Your artwork is simply stunning! Hi LJ, I love the beautiful variety of your card offerings. There is something for every card shopper, and I love the bird songs! I have bird feeders right outside of my window, and when I first heard it, thought it was some of the birds in backyard! Lovely sounds! Good luck to you. Hello LJ - Thanks for the lovely nature sounds on your store. Here in idaho, I am looking for any signs of spring that I can. Your tulips on Product Id: 589853 are so beautiful and old-fashioned. Also, the Eagle Scout cards are wonderful. Thank you for stopping by my store Lj and for the rating on my Squirrels in Love card. My husband loved the Valentine's Day card I sent him of yours and I'm always a fan of your beautiful cards! Just popping by to see your latest wonderful cards! Love the roses in the vase cards. Just beautiful! Love your work - nice variety and all so very well done! What a great talent you have!!! I have neglected to visit your store and what a treasure there is here! So creative, and your 'birds singing' is wonderfully charming. I really appreciate your positive comments on my store, it's a real honor coming from you! LJ!! thanks so much for your comment, It is very appreciated and an honor.. All your pieces are amazing!! Thank you for the review of my card! You have a lovely store! Hi Lj, thought I would check out your cards, since you took the time to see mine. What a great collection of Wedding Cards, very elegant. Keep up the good work. Thanks Lj for your comments on my cards. It inspires me much. You have an awesome collection of cards and the layout of your gallery is very customer-friendly. I love our store and designs. That Butterfly card on Linen is stunning. Thank you LJ for all your inspiration. Wow your imagination is truly awesome. I think I'll stay awhile. Hi, thanks for the lovely comments you left regarding one of my cards..... Your cards are beautiful and I too love the old world charm ones... they're favs. Best wishes as you continue on with GCU. You have a fabulous gallery of cards. I really love the old world style bridal cards, too lovely! I have not bought any of LJ's lovely cards but just wanted to say thank to her for being such a great person and giving me all that friendly and helpful advise on the forum for my own Funattic Card Shop that should be up and running real soon. Hi Lj, thanks so much :-) that was real sweet of you! you have some wonderful cards, my absolute fav is the walk me down the aisle old world, your grunge cards and the layered cards (wedding rings with bokeh lights). The bride painted portrait style is very classy and elegant. Your ideas and designs are inspiring! I have enjoyued looking through your store and seeing all the beautiful cards. I can see you do lots of work here! What a beautiful shop full of cards, you have, LJ! I like your bird sounds too! My favorite is your Joy to the World Christmas Card! Long time no talk. :o) I have been so so busy with weddings and now i am going to be a grandma in September. I have not been on the web for ages. :o) Miss you. Hi! The Breast Cancer card caught my eye...It's just beautiful! I really enjoyed looking through your cards! Every single one is so beautiful!!! Very talented! I also admired your art on red bubble....Your art and style is like "vintage elegance" I just love it!! Thanks so much for helping me get started here on GCU and for the lovely testimonial you wrote for me! Onward and upward!! I was just checking out the other designs that were submitted for the Esthetician Graduate request and loved your design with the pink flower and the beautiful model! Excellent job! and Beautiful portrait! Hello LJ, You have an absolutely beautiful gallery of designs! Also thank you for sharing your nature audio. It blends wonderfully with your creative works. LJ Thank you for responding to my question on Forum. I make a habit to visit the sites of artist that corospand with me on forum. It is an opportunity to familiarize myself with the artists and their work. I am glad that I have the pleasure of seeing your site, lovely work, beautifule illustrations. Hi LJ & thank you for the sweet comment on my kaleidoscope design. I absolutely love your art and cards. You do such lovely work. I love the vintage looking ones, they are all really lovely though, you have a wonderful sense of design as well. WOW! I love your kaleidoscopic images! They are so beautiful! Your work is amazing and inspiring! I just love all your cards -they are incredibly inspiring!!!! they are all so whimsical :) love them! All the best to you and your store!!! Your store is wonderful! I love the colors, designs, and unique look to your cards. Keep up the good work! You have such lovely and unique designs. Wishing you much success! Lovely Cards - love the designs ! Hi Lj, Thanks for your nice comment. Love the vintage feeling and look of your cards, like the sepia "to my bride wedding". Welcome to GCU. Wishing you lots of success here! Hello and welcome to GCU, you have a great start to your store, fabulous designs! Wonderful variety of cards Lj, very best of luck here at GCU! I'm loving your first cards here...I'll surely be back to see more!